Being green is definitely on most people's radar "now-a-days". We realize that our actions have significant consequences when we aren't careful. We now see the damage that our conveniences have created. Cars and manufacturing have led to air pollution, our disposable lifestyles have led to overfilled landfulls that take too long to break down...and these things have been building up for years before our impact really became evident. Thankfully, there are things that we can all do to help lessen our impact on our wonderful planet. One of those things is use a "greener" cleaner. Green Works is one of those cleaners that can help you be more Earth Friendly. Right now Green Works is hosting a super fun Pinterest game... and the prize is a $500 gift card! If you haven't used Pinterest before, don't worry... it's easy to use (and pretty addicting)! 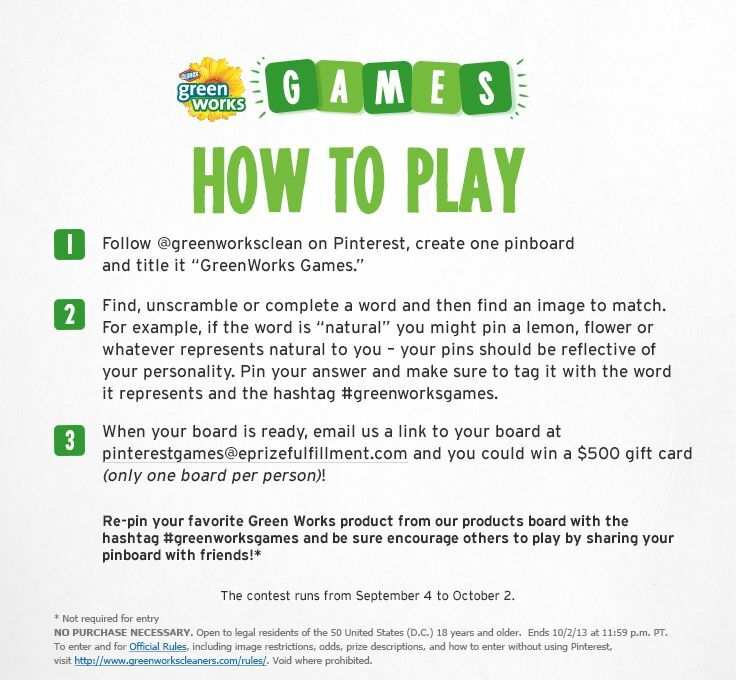 Come check out MY #greenworksgames Pinterest board. From the cooktop to the countertop, Green Works® Naturally Derived All-Purpose Cleaner powers through grease, grime and dirt without leaving behind harsh chemical fumes or residues. Green Works All-Purpose Cleaner is safe to use on multiple surfaces throughout the kitchen and bathroom, including counters, appliances, stainless steel, sealed granite, chrome, cooktop hoods, sinks and toilets. 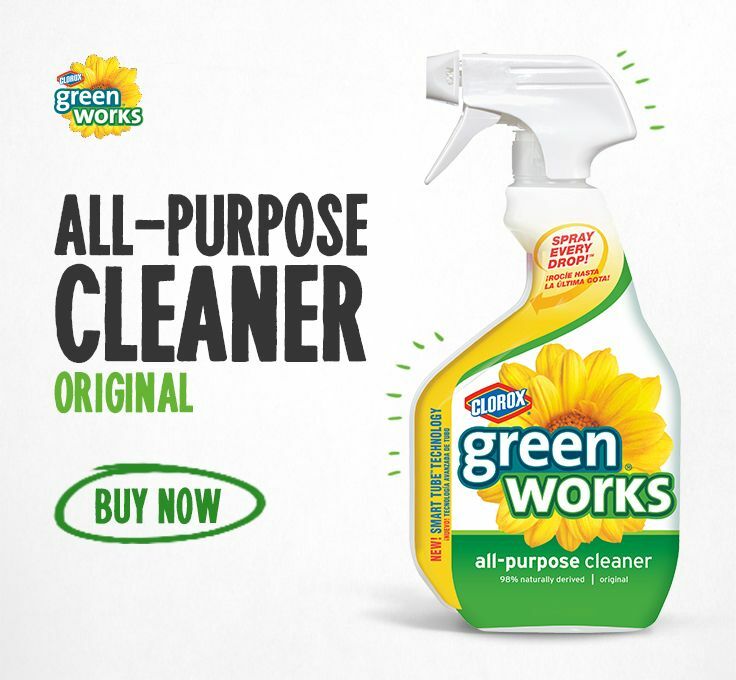 Green Works® All-Purpose Cleaner is available in a 32-oz. bottle in both original and tangerine scents. It is expected to retail for approximately $3.49. For more information about Green Works products and tips on making your home greener, visit www.greenworkscleaner.com or visit us on Facebook, Twitter, or Pinterest! I love the new bottles that Green Works uses for the All-Purpose Cleaner! They are recyclable, and they are specially designed so that you can spray every last drop! So what about you? Does your family do anything in particular to live a greener lifestyle? Have you used Green Works products before?